MAASTRICHT, Netherlands—A young man at a bus stop hisses at a passer-by: “What you looking for … marijuana?” It’s a scene of street peddling that the Netherlands hoped to stamp out in the 1970s when it launched a policy of tolerating “coffee shops” where people could buy and smoke pot freely. But Maastricht’s street dealers are back, local residents complain. And the reason is a crackdown on coffee-shops triggered by another problem: Pot tourists who crossed the border to visit the cafes and made a nuisance of themselves by snarling traffic, dumping litter and even urinating in the streets. This exchange of one drug problem for another has become a headache for Maastricht—and may give reason for pause in the U.S. states of Washington and Colorado that recently allowed the sale of recreational marijuana for the first time. The Netherlands, the world pioneer in pot liberalization, has recently taken a harder line toward marijuana, with mixed results seen particularly in border towns such as Maastricht. The central government clampdown has involved banning people who live outside the Netherlands from coffee shops, and shuttering shops that are deemed to be too close to schools. There was even a short-lived policy that said smokers had to apply for a “Weed Pass” to get into a coffee shop. The new rules were rolled out across the country between the middle of 2012 and the beginning of last year. But while the central government made the rules, it’s up to local municipalities to enforce them—and most are embracing only part of the policy. Amsterdam—with some 200 licensed coffee shops, one-third of the nationwide total—still lets foreigners visit them, although it is closing coffee shops that are near schools. One city that has embraced the crackdown whole-heartedly is Maastricht, in the southern province of Limburg close to the Dutch borders with Belgium and Germany. Its mayor, Onno Hoes, says he enforced the legislation to halt a daily influx of thousands of foreigners who crossed the borders to stock up on pot at its 14 coffee shops. That effort to end so-called “drug tourism” has been successful, local residents say, but the flip side has been a rise in street dealers like the man who recently tried to sell pot to an AP reporter in Maastricht. Carol Berghmans lives close to the River Maas, whose muddy waters bisect the city, and whose banks are frequented by dealers he sees as he walks his dog each day. He says there were certainly problems before the crackdown as cars filled with pot tourists poured into the cobbled streets of central Maastricht—but he described the atmosphere as “gezellig,” a Dutch word that loosely translates as cozy or convivial. Since coffee shops were banned from selling to non-residents, the numbers of foreigners has dried up. But the atmosphere in town has turned darker as street dealers now aggressively badger any potential clients and fight among themselves, Berghmans says. 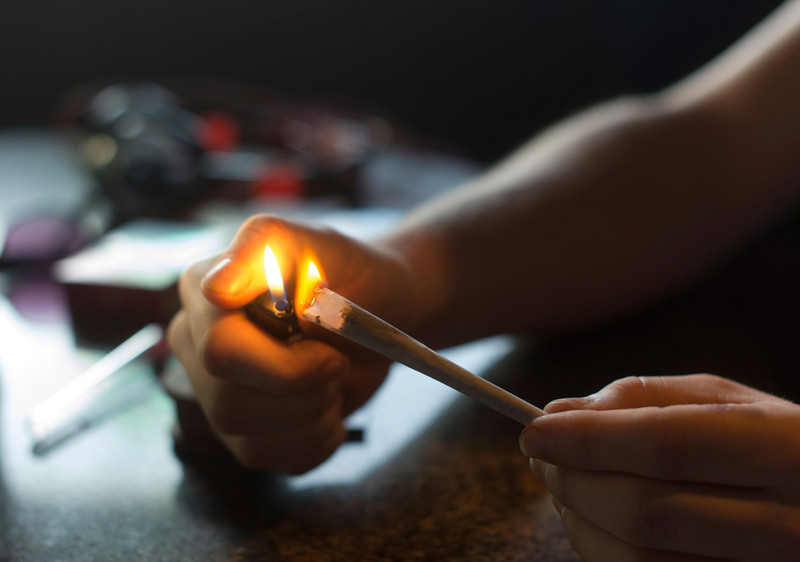 Maastricht city spokesman Gertjan Bos said the problem of street dealing is not new, but concedes it has become more visible since the city’s crackdown reduced the number of drug tourists. Easy Going coffee shop, in a street linking Maastricht’s historic market square with the Maas, has been shut for months as its owner, Marc Josemans, refuses to adhere to the rule about selling only to Dutch residents. “I won’t discriminate,” he explains. He is fighting a legal battle against the new rules and expects the Dutch Supreme Court to issue a ruling soon on whether turning away non-Dutch residents is constitutional. Experts also question the Dutch policy change. August de Loor has for years run a bureau in Amsterdam that gives drug advice aimed at minimizing health risks for users as well as testing party drugs such as ecstasy for purity. He says coffee shops once played an important role not only in keeping cannabis users away from hard drugs like heroin, but also educating them about safely using pot and providing a meeting place for people who would rather smoke a joint than drink a beer. One part of the Dutch drug experience that has remained illegal is commercial cultivation of weed. Meaning that while coffee shops are tolerated—and taxed—the people who supply them are not. In January, a group of 35 municipalities, including both Amsterdam and Maastricht, called on the central government to allow regulated growing, saying it would take the harvest out of the hands of organized crime. Prof. Dirk Korf, a criminologist at the University of Amsterdam, says the Dutch tolerance policy has worked well. Amsterdam’s coffee shops, by contrast, continue to welcome foreigners with open arms. The main difference between the two cities is the type of tourist they attract. In Maastricht, foreigners drive over the border, visit a coffee shop and drive back on the same day. In Amsterdam, tourists mostly arrive by plane or train, stay in a hotel and visit museums and restaurants—as well as dropping in on a coffee shop—plowing far more cash into the city. On a recent Friday afternoon in the Dutch Flowers coffee shop on Amsterdam’s historic Singel canal, German and American voices mingled with English and Dutch in a hazy cloud of pot smoke. Shawn Stabley, a 49-year-old, musician and IT director from York, Pennsylvania, is typical of the type of tourist Amsterdam coffee shops attract. He and his partner strolled into Dutch Flowers for a smoke after visiting another Amsterdam icon, the Anne Frank House museum, a short walk away on another of the city’s canals. The cafe has a few tables, a bar with a set of electronic scales for weighing out drugs and a menu filled with names of marijuana and hashish like Neville’s Haze and Parvati Creme. The couple has been visiting the city for 20 years to celebrate Thanksgiving, Stabley says. He says they don’t plan to stop the tradition now, even if he can buy pot closer to home in Denver or Seattle.